In his article in the November 2012 issue of Birding, Aaron N. K. Haiman introduces ABA members to the five “types” of Evening Grosbeaks. What are these types? For starters, they are more-or-less geographically discrete populations with different flight calls. But what are they? Are they just different populations? Are there genetic differences among the populations? Do the flight calls serve as barriers that promote reproductive isolation? 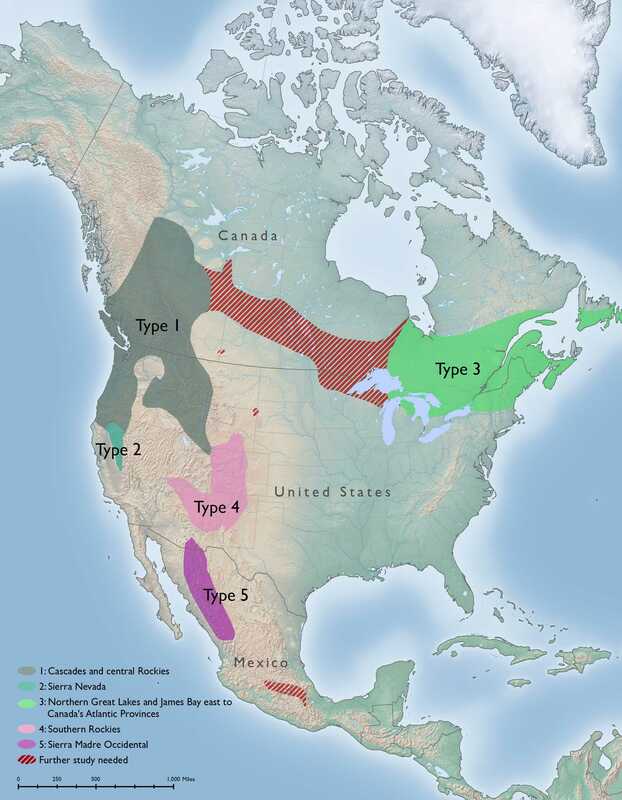 If so, could this mean that the five different populations correspond to five different species of Evening Grosbeaks? And what are the conservation consequences of all this variation within the population of birds currently classified as the Evening Grosbeak? 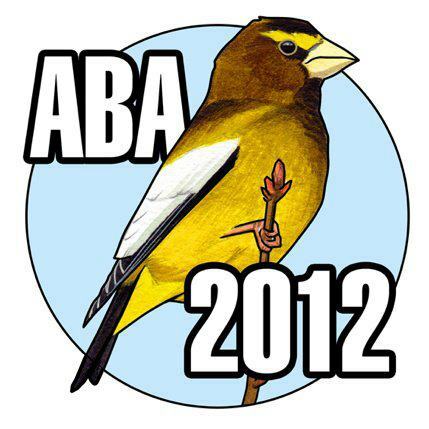 We’ll soon be unveiling the 2013 ABA Bird of the Year, but the story of the 2012 ABA Bird of the Year, the Evening Grosbeak, continues to unfold. For one thing, Aaron Haiman still has to finish his Ph.D. dissertation on Evening Grosbeaks! Speaking of Aaron, he presents below a primer on variation in Evening Grosbeak call types, he readily acknowledges that questions remain unanswered, and he’s asking YOU for help. Seriously, you can contribute to our basic understanding of one of the most fascinating birds in North America, and, in so doing, you will help advance the cause of bird conservation. And who knows? Maybe we’ll get a split or five out of all this! One facet of my research on the Evening Grosbeak (Coccothraustes vespertinus) that I aim to strengthen is my survey of where the different flight call types occur, what they are doing, and what they are eating. To give a bit of background, five different variants of Evening Grosbeak flight calls have been observed. These different variants have been labeled Type 1 through Type 5, and although the differences are subtle to the human ear, they are distinct enough that with practice they can be identified in the field. They are also different enough that the grosbeaks themselves can almost certainly tell them apart as well, and so may play an important role in group membership identification. The geographic ranges of birds that make these different flight call types have been generally worked out. Type 1 is found mostly in the Pacific northwest and central Rocky Mountains, Type 2 is found mostly in the Sierra Nevada and southern Cascade Mountains of California and Oregon, Type 3 is found mostly around the Great Lakes and in New England and southeast Canada, Type 4 is found mostly in the southern Rocky Mountains of Colorado and New Mexico, and Type 5 is found mostly in the mountains of central Mexico and southern Arizona. 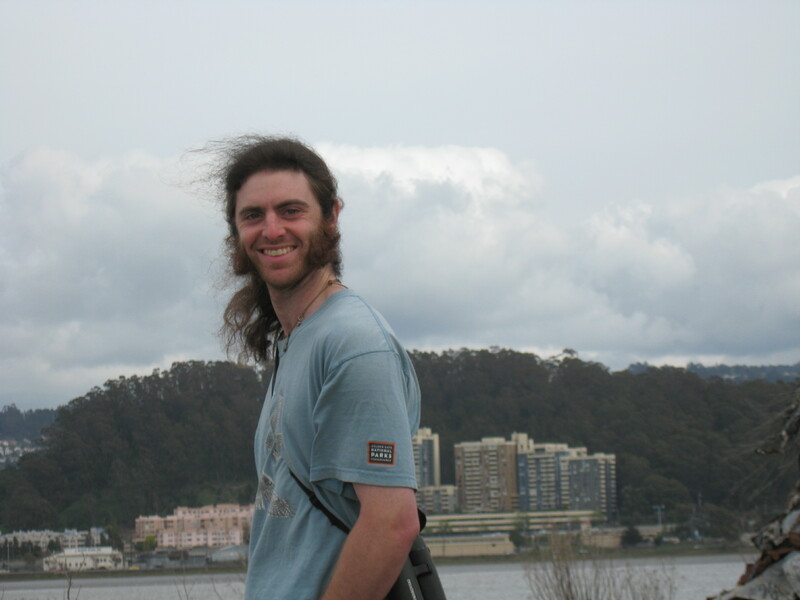 Right: The author is working toward his doctorate at the University of California–Davis. I say “mostly” a lot in the preceding assessment because there is a lot that we don’t know. There is a fair bit of overlap in where the different flight call types have been recorded. In the Sierra Nevada, although most of the birds give Type 2 flight calls, some birds give Type 1 flight calls as well. In Wyoming, where Type 1 is expected, Type 1 birds are the most commonly observed, but Type 4 birds occur in smaller numbers as well. There are also parts of the continent where it is not well understood what type might be the most common. The area in central Canada between Type 1 and Type 3 is filled with question marks. Nevada and Utah are between the Type 1, Type 2, and Type 4 regions. This area does not have a lot of Evening Grosbeak habitat, but it seems plausible that the species does occur on high mountain ridges. Grosbeaks may or may not breed there, but even knowing what birds pass through the area would be interesting. Another huge area of unknowns involves Type 5. Very little research has been done on where Type 5 Evening Grosbeaks occur. Even the portion of the range that is in the U.S. in Arizona and possibly New Mexico is not well established. Map by Kei Sochi. See Birding, November 2012, pp. 34–40, for full details. An even less understood aspect of the Evening Grosbeak’s natural history is that of diet. Most bird books give the very general “eats seeds and insects” with little or no elaboration on which seeds and which insects. Do birds that make different flight call types eat different foods in their respective different ranges? No one knows. When individuals that produce different flight call types find themselves in the same place, do they then retain any differences in diet, or do they all simply eat whatever is around? Again, no one knows. So here is my call for aid. I want to collect information on the calls and diets of Evening Grosbeaks across North America. This will take a very long time if I do it all myself, but I am hoping that you might be willing to help. There are two ways you can help. First, if you see Evening Grosbeaks anywhere, please take a moment to observe what they are eating. What I am looking for is information on what these birds are eating in the wild, so bird seed out of a feeder may not give the most interesting information, although you never know. Second, see if you can make an audio recording of a calling grosbeak. Your recording device does not have to be fancy. I have gotten useful recordings off the recorders in digital cameras. You can also record with your iPhone (click here to learn more) or with an inexpensive and very small digital recorder (click here to learn more). The best recordings are the ones that have the vocalizations of only one bird calling for as long as possible, but any recording will be useful and this includes birds at feeders. This is going to be a long and slow accumulation of knowledge, and that’s why I am starting now. I will be collecting this information for years. Don’t worry about being too late—the data will always be of use, whenever you submit it. Thanks in advance!